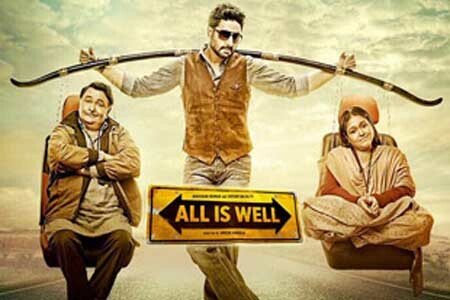 All Is Well : is a 2015 Bollywood family drama film directed by Umesh Shukla and produced by Bhushan Kumar, Krishan Kumar, Shyam Bajaj and Varun Bajaj and co-produced by Ajay Kapoor. It stars Abhishek Bachchan, Rishi Kapoor, Asin and Supriya Pathak in lead roles. Here is the link of all the songs lyrics and videos of All is Well.